If you are spending Easter in the north-west of England and are up for some serious clubbing action, you really cannot miss this. 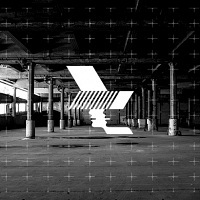 The Warehouse Project venue, based around the Manchester Piccadilly station arches, has unveiled what is possibly one of the tightest line-ups for an Easter bash we've seen in a long time. Four nights of legends and new bright things is the way to go and tickets are already starting to shift, hardly surprisingly. Thursday 21st April and Sunday 24th (Easter Sunday) cost £20 to get in, while Good Friday and Great Saturday are £17.50 - all nights finish at 5am, just in time for that post-clubbing bacon/egg sarnie and orange-juice. Anyway, never mind the prices and the breakfast - who's ready to smash Easter? Thursday sees Belgium getting some props from Aeroplane (geddit?) and the perennially-loved 2ManyDJs, offering two different takes on a club-session. The former will bang out all things minimal, synth-laden and funky while the latter will .... well, who knows? Just turn up and experience the breaks mayhem for yourself. Mixhell and The 2 Bears plus many more round off the evening. Friday reads like a dubstep and d 'n b role-call with Skream, Jakwob and Roska cracking out the wobbles and brain-melters alongside drum 'n bass legend Andy C, plus Shy FX and Loadstar also on hand to keep the bass rolling. The Saturday sees French dance-revolutionary and techno-guru Laurent Garnier and the incredible Detroit-master Carl Craig lock horns for a 20-year celebration of Craig's visionary Planet E label. R&S mainstay Space Dimension Controller are also at the helm earlier in the evening, making this a must go-to for tech-heads. Finally we see Sunday night welcome Swedish House Mafia member Steve Angello, firing up the Stantons for some more straight-forward trance-house with support from Alex Metric and Norman Doray. Tickets are expected to fly out for all four nights - who's up for going to all four then?